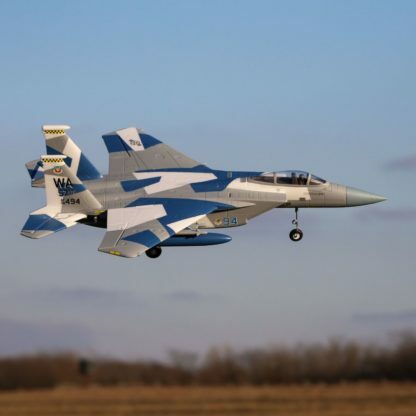 When it comes to air superiority, none have yet succeeded against the one and only F-15 Eagle in air-to-air combat. So advanced and formidable, the F-15 is expected to log a 60-year long service life. 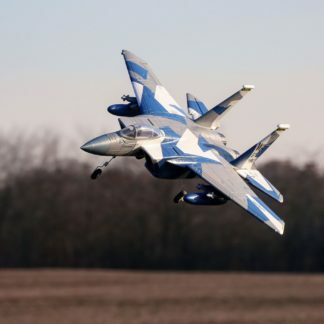 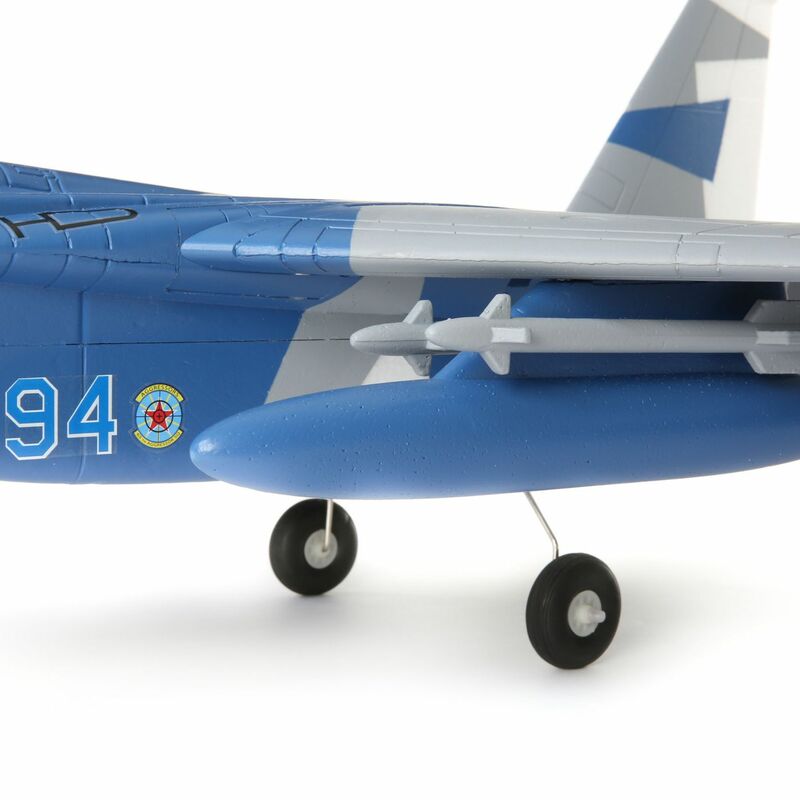 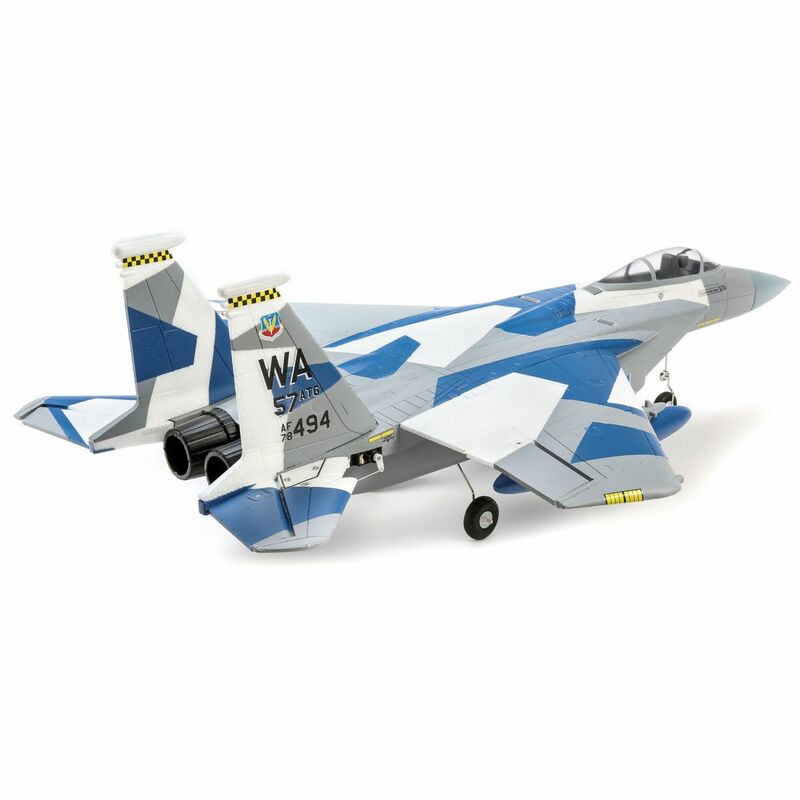 The E-flite® F-15 Eagle 64mm EDF jet is a potent replica of the McDonnell Douglas design that makes it possible to enjoy the thrill of flying an air superiority fighter of your own. 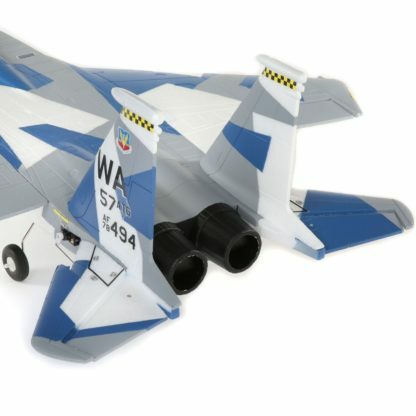 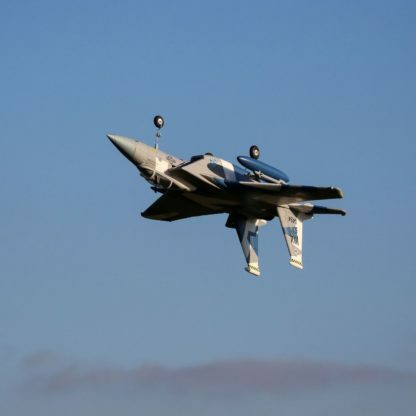 It’s also the easiest F-15 model to fly when equipped with AS3X® and SAFE® Select technologies (BNF® Basic version only). 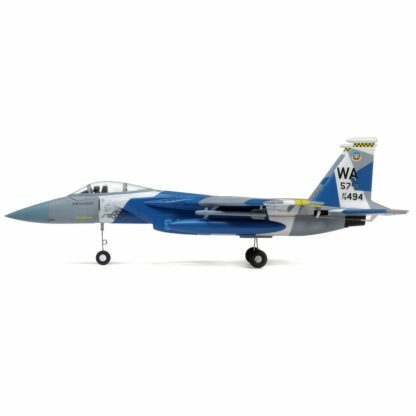 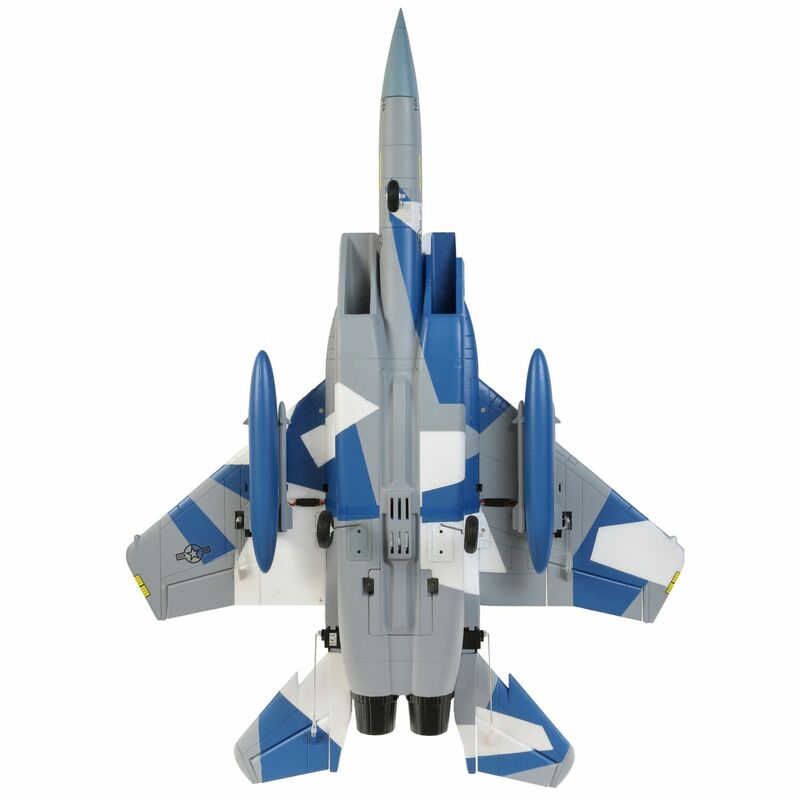 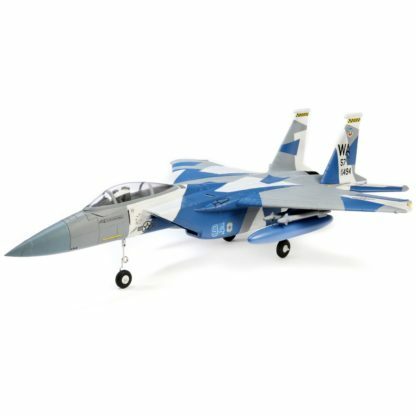 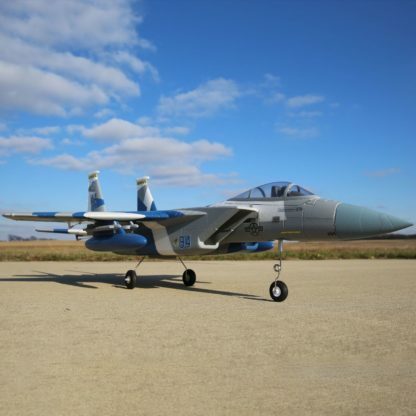 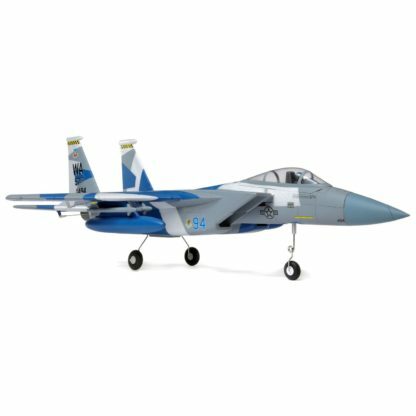 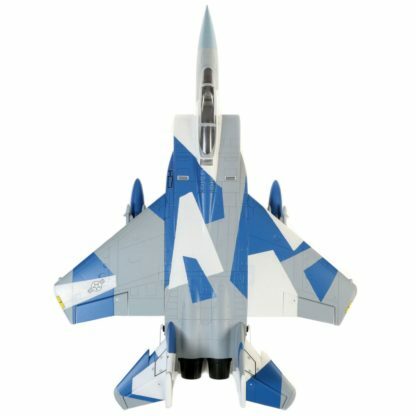 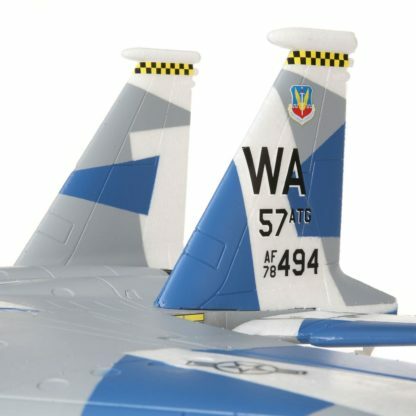 The E-flite® F-15 Eagle 64mm EDF jet is a replica of the world-renowned air superiority fighter flown by the U.S. Air Force. 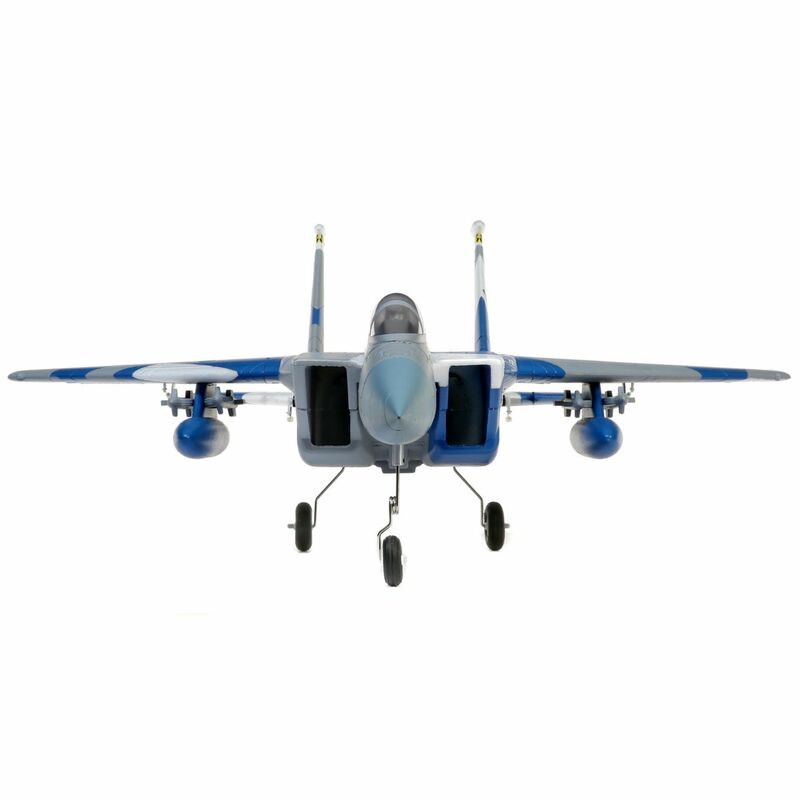 It’s equipped with a 4S-compatible brushless motor and a 40-amp ESC that are matched to an 11-blade fan to deliver fantastic speed, thrust and a turbine-like sound. 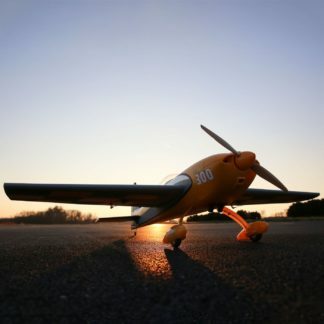 The factory-installed power system and servos help make it quick and easy to assemble the lightweight yet durable EPO airframe with bolt-on wings so you can be flying in less time than it takes to charge a battery. 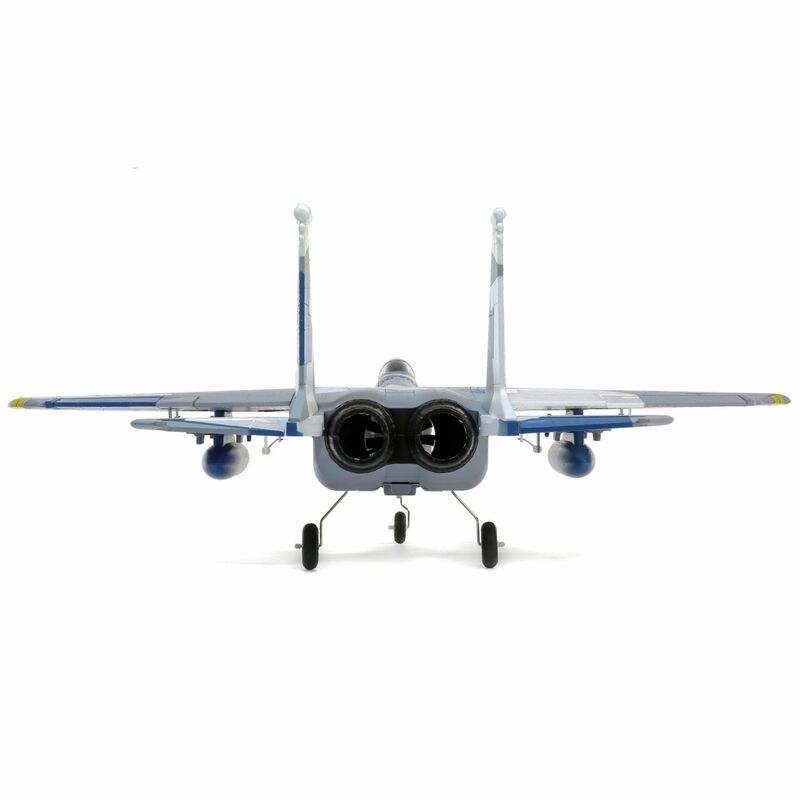 Optional-use fixed landing gear with a steerable nose wheel is included so you can taxi, take off and land on runways, or you can leave the landing gear off for improved performance plus easy hand launches and landings on grass. 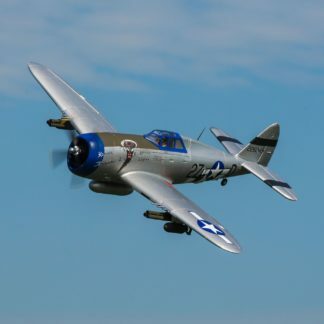 You can also fly with or without the wing-mounted drop tanks and missiles depending on the look and handling you prefer. And it all adds up to deliver one of the easiest to enjoy and easiest to fly Eagle models ever! 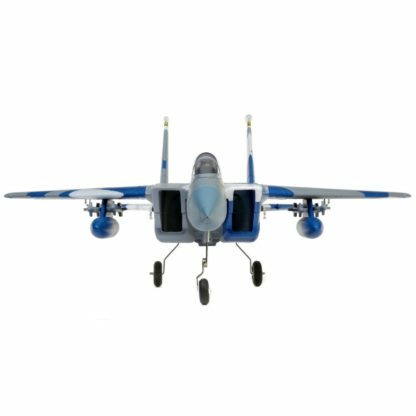 This is the first high-performance F-15 model equipped with exclusive Spektrum® AS3X® and SAFE® Select technologies. 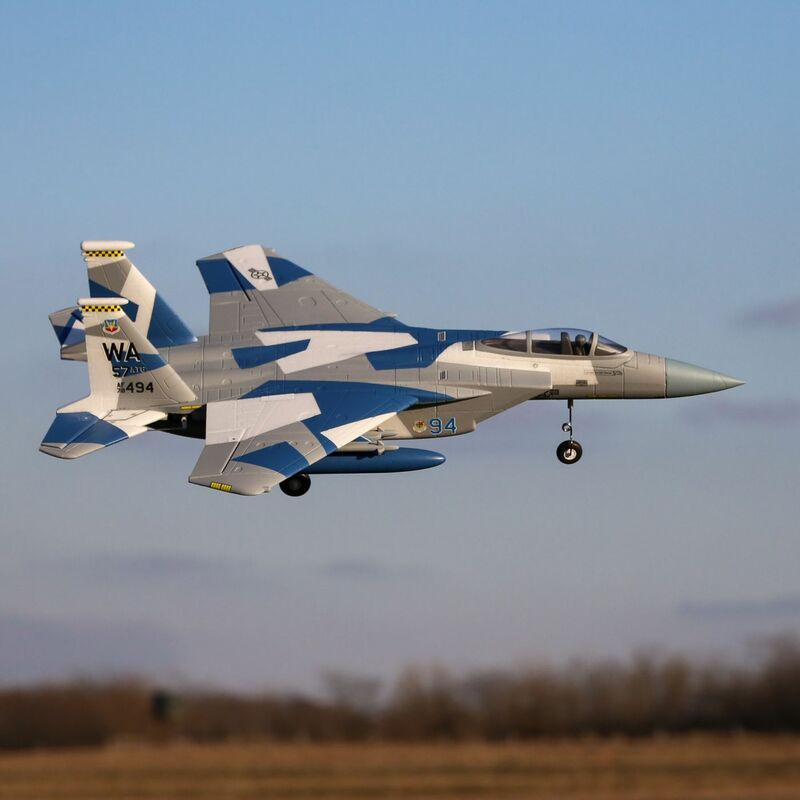 AS3X works behind the scenes to smooth out the effects of wind and turbulence to deliver a locked-in feel that makes it seem like you’re flying a much larger jet. Optional-use SAFE Select offers pitch and bank angle limits along with automatic self-leveling that can be turned on and off at the flip of a switch making this the easiest to fly Eagle yet! 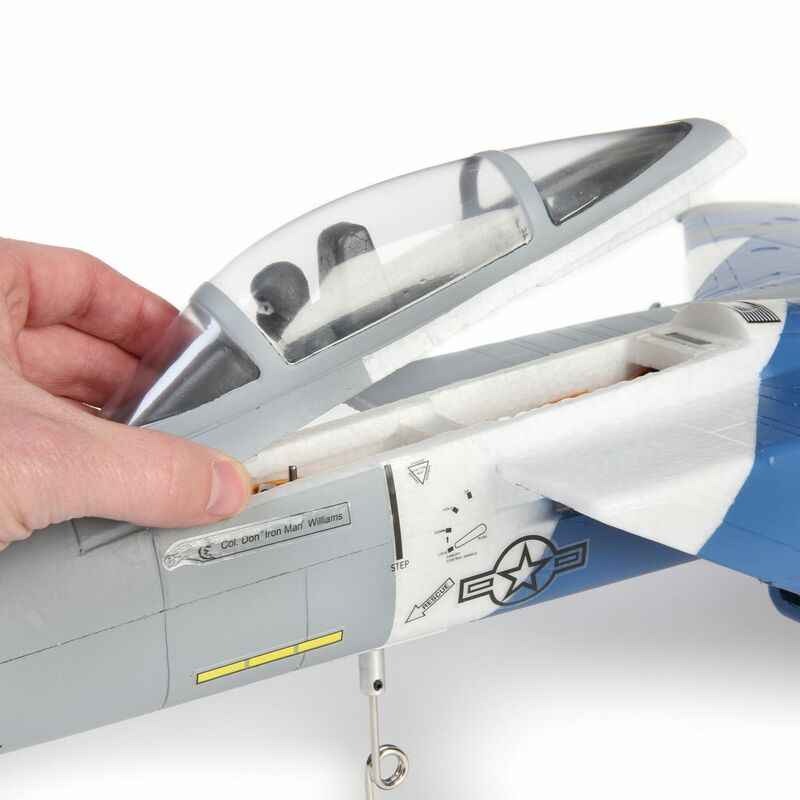 And if you don’t want to enable the SAFE Select features, simply bind the receiver normally and only AS3X will be active. 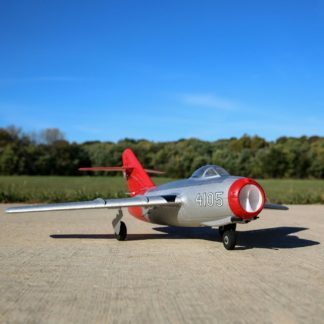 The 11-blade 64mm fan, high-RPM brushless motor and 40-amp ESC combine with your 4S 2200mAh LiPo battery to deliver great vertical performance and a fantastic speed range with virtually instantaneous throttle response. But what makes the experience truly rewarding is the fantastic sound produced by the power system- it’s almost like a real turbine. 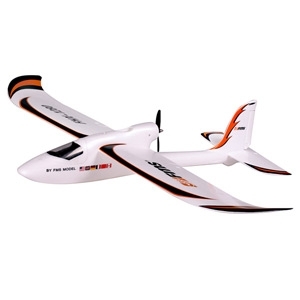 This Bind-N-Fly Basic model is equipped with a Spektrum 2.4GHz DSMX® receiver featuring AS3X (Artificial Stabilization–3-aXis) technology that works behind the scenes to smooth out the effects of wind and turbulence so you enjoy a sense of stability and precision that makes it feel like you’re flying a much larger, expertly tuned aircraft.